I did hate Prisoners and Only God Forgives but The Paperboy was so much fun, Kidman is my last year's nominee. I've been so shittily behind with my movie watching, but I'm glad to see The Place Beyond the Pines is on the list. I'm not sure if that one (and Prisoners) are underrated as much as they're overlooked. Oblivion I liked.. but I didn't love. It looked great and sounded great but the story was so predictable and generic towards the end. 7/8 of the ones I've seen will be in my Top 50 (yet to see Mystery Road, won't see Paperboy). So I would strongly agree with you! I liked Oblivion for the most part, so I can't argue with it being on there. It had a really interesting look, and while the end wasn't thrilling, it still had a lot going for it. Agree with you on Only God Forgives, Mystery Road, Prince Avalanche, and Prisoners. Oblivion works for the first two acts but ultimately flatters in the end. I cannot side with you on To the Wonder or The Paperboy though. While they both have some great moments, neither worked overall for me. 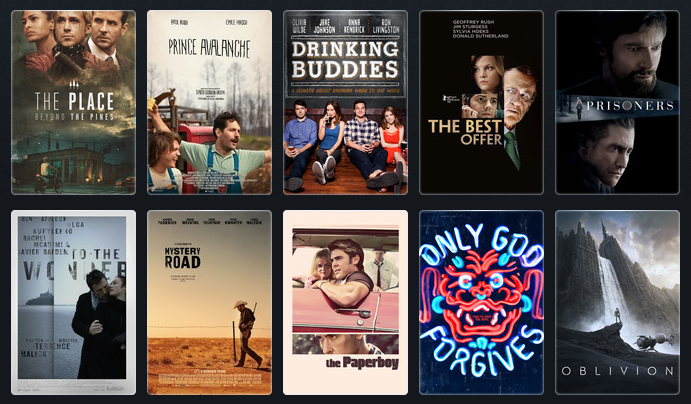 Honestly, Prince Avalanche has a huge shot at making my top 10 list for 2013. It was such a great, deeply sentimental movie that flew under the radar. So great. Oblivion was a huge disappointment (I am a fan of District 9). Bad story line, acting and really bad characters development. I liked Prisoners though.